Police late Tuesday were investigating a shooting of a bicyclist in San Jose. 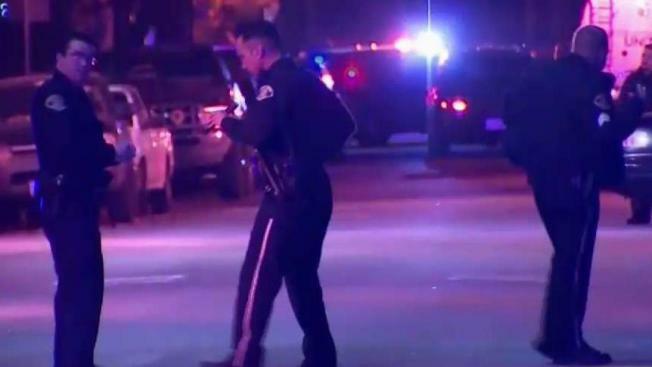 The shooting was reported about 7:05 p.m. in the area of Scott Street and Richmond Avenue, in the city's Buena Park neighborhood, just north of Interstate 280, police said. The victim was taken to a hospital with non-life threatening injuries, police said. Witnesses reported hearing multiple gunshots ring out. John Flannery was out walking his dog when his neighbor stopped him. "He came out and said, 'Did you hear that? The bang, bang, bang.' He thought it was firecrackers, but it was bullets," Flannery said. Officers were investigating the circumstances leading up to the shooting, police said. A suspect had not been identified or apprehended.